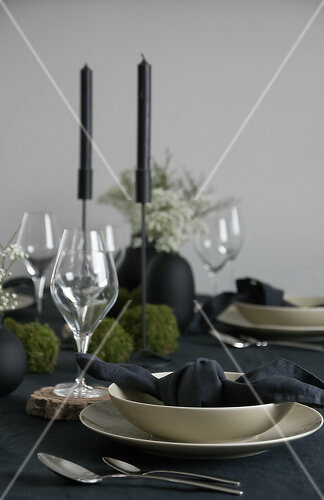 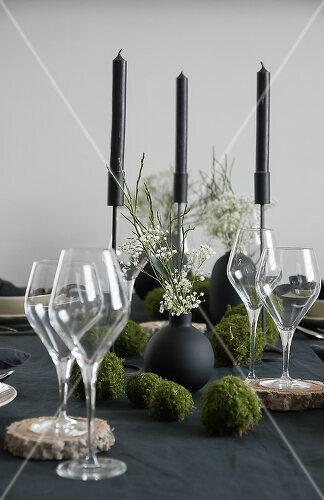 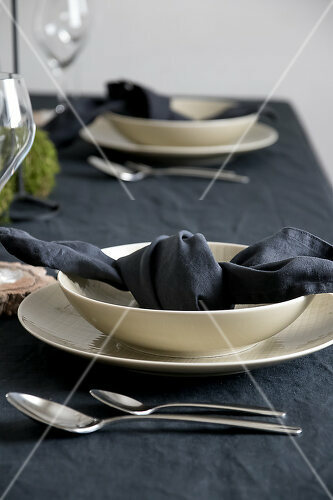 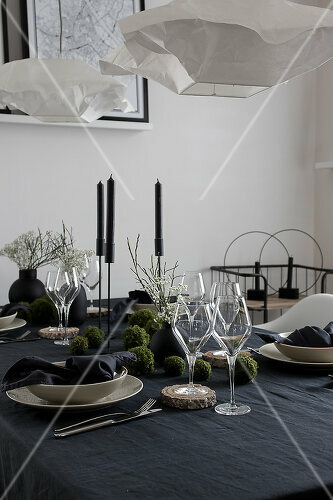 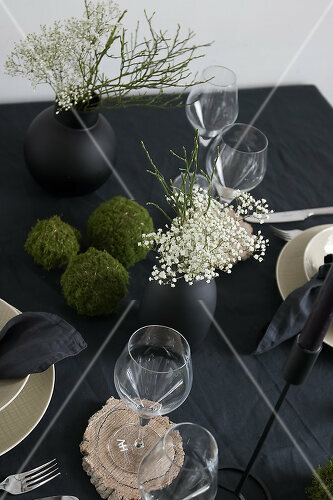 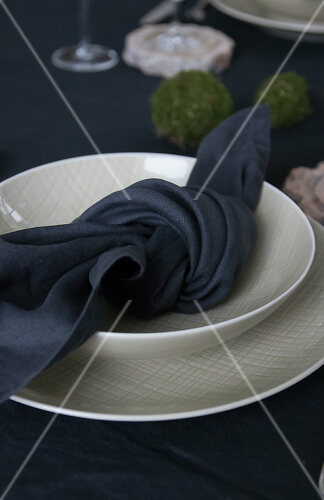 Keep your dinner party naturally elegant with an all-black motif and DIY décor. 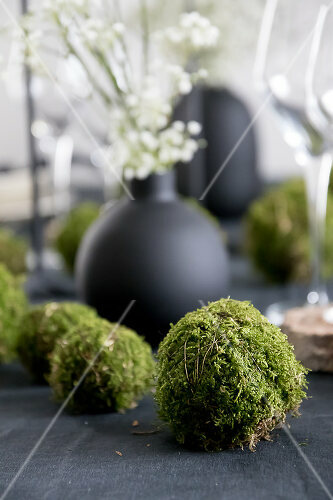 Nature doesn’t need bells and whistles to make an event beautiful. 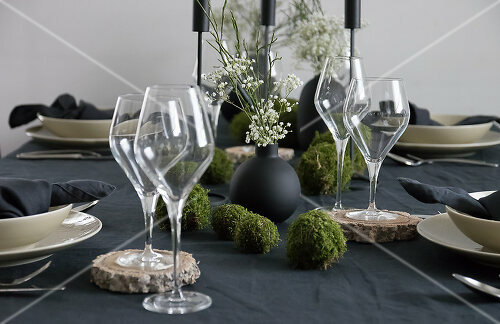 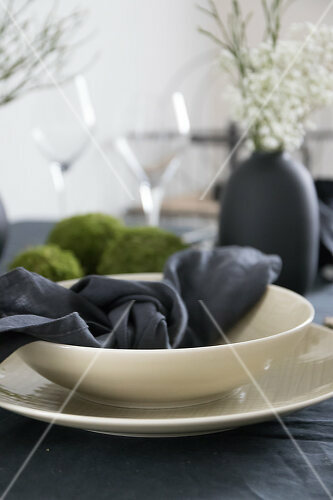 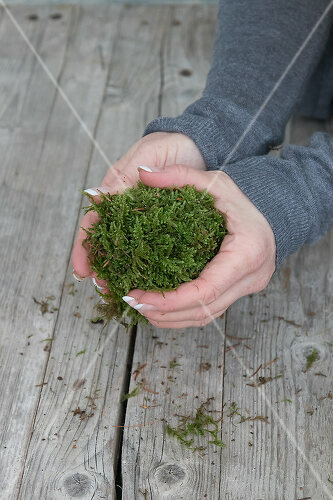 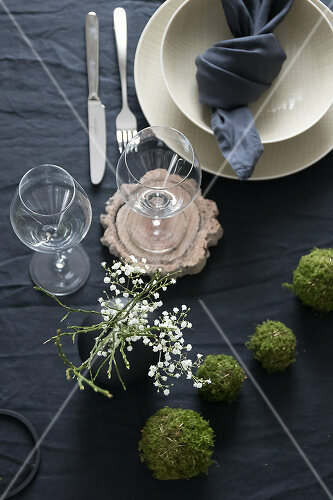 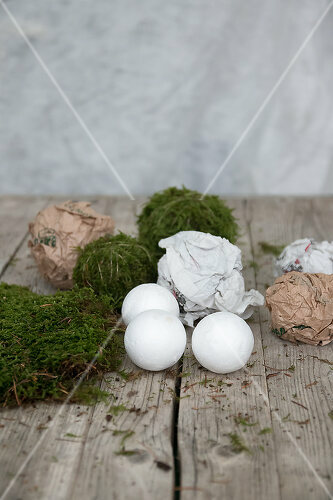 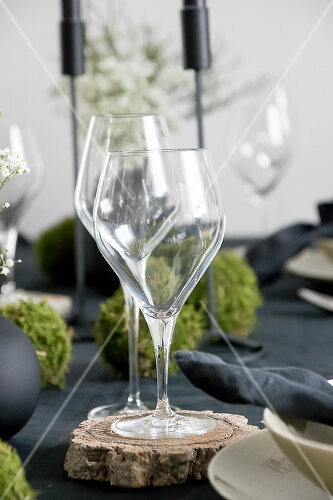 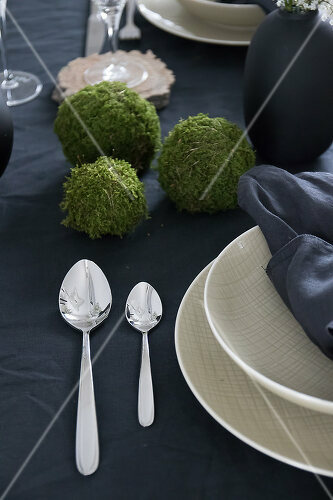 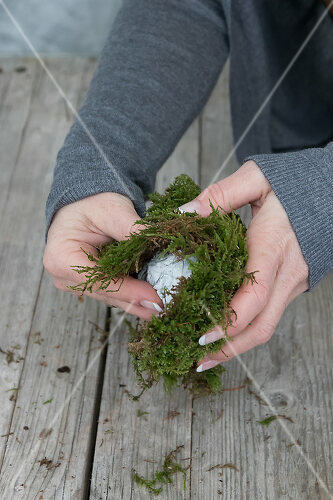 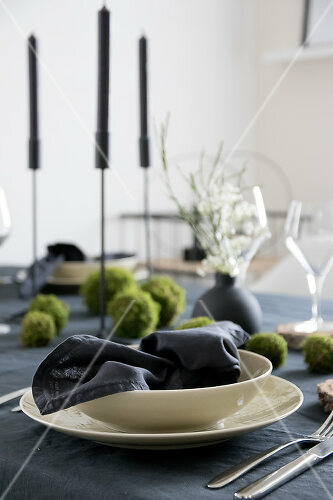 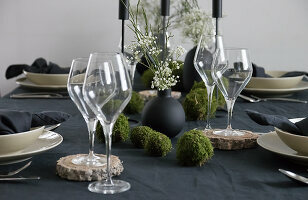 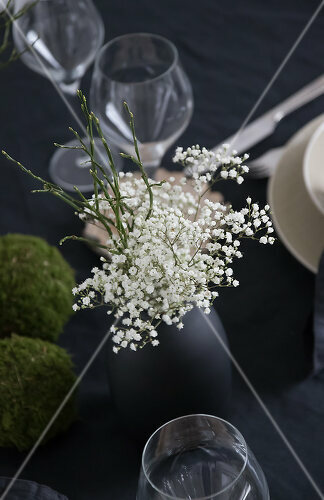 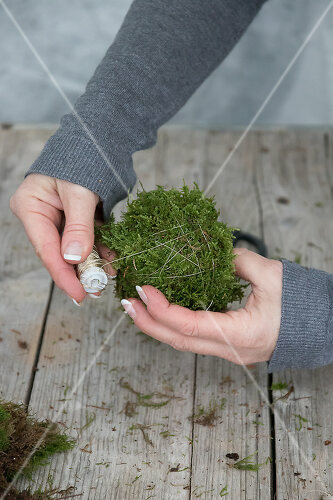 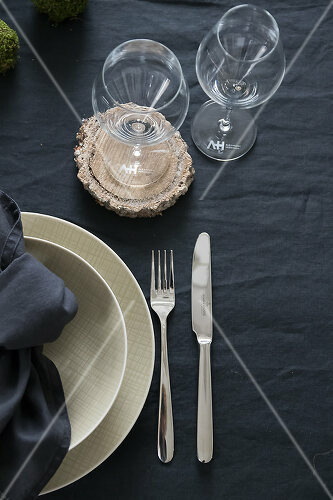 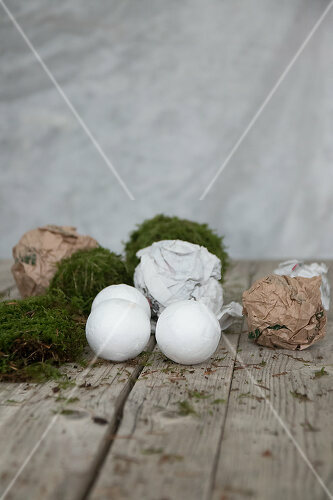 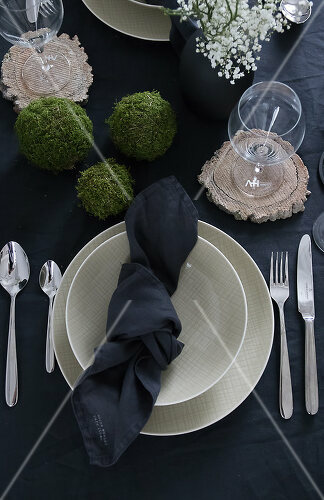 Rustic tree slices are the perfect juxtaposition to the clean lines of a wine glass and the mossy green ball formations against the black tablecloth add a striking color contrast to your dinner party.